When the accident in Fukushima Daiichi Nuclear Power Plant happened, the first people who started moving were the citizens who tried to escape from invisible radiation. Mainly from the coastal area where evacuation order was issued and its surrounding area, a lot of people fled their home and seek refuge in safe place both inside and outside Fukushima prefecture. 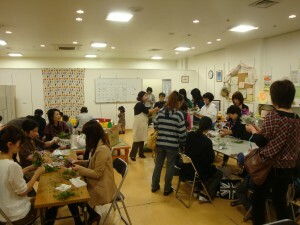 When local municipalities of less affected areas in Fukushima or other prefectural government took in the huge number of evacuees, a lot of local citizens cooperated for establishing and running evacuation centers. For the people who fled their home without belongings, various NPOs and citizens’ groups offered hot meal by soup kitchen. Sometimes they distributed relief materials for evacuees with local municipality’s staff who were suffering themselves. When people living in the big cities such as Fukushima and Koriyama came to know that they were also at risk of radiation exposure and it was not only problem in the coastal area, citizens started measuring airborne radiation levels in their hometown, such as their house, school commuting roads, parks, etc. At the same time, becoming aware of the seriousness of the problem, people who consider evacuation from those cities were gradually increasing, especially among those families with small children and pregnant women. 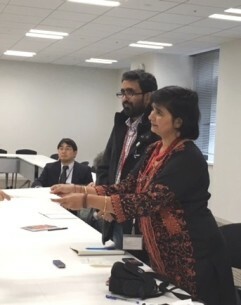 In response to such movement in Fukushima, citizens’ groups and municipalities outside Fukushima appealed to people in Fukushima that they were ready to receive evacuees in various levels. Coordination efforts by citizens’ groups and their networks were also activated for matching between evacuees’ needs and offer from outside, collected and consolidated information from both sides. From the citizens who can’t evacuate soon, voices of concern about safety of food and drinking water were raised. Distribution of food and water has also been organized by local organizations supported by citizens and donors outside Fukushima. consumers, were seriously worried about radiation contamination of soil of their field as well as their products. They asked themselves whether they can continue agriculture or not. Some people advised those farmers to stop farming in fear of radiation contamination and some others insisted the importance of continue farming. 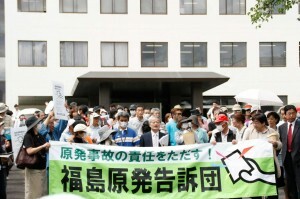 Researchers from both inside and outside Fukushima went to support farmers. “How can we produce contamination-free crops out of contaminated land?”―Some farmers once despaired have regained their feet again and continue fighting against radiation problems.